He continued his primary school education at Whangarei Primary School from 1920-23 and then at the new Whau Valley School from1924-25. He registered as a student at Whangarei High School on 8 February 1926, being placed in Form III A. There is little detail in School records of Sir John’s early years. By the end of 1927 he had earned a place in the School’s 1st XI Cricket team where his performances were summed up as ‘A promising bat with plenty of power in his strokes. Should use his feet more and get well over the ball. A good field’. That year he was also a member of the 4th Grade rugby team specially formed for two matches against Dargaville. In 1928 he is recorded as being the Corporal of No 8 Platoon ‘B’ Company in the School Cadet Corps. In athletics he came 1st in the 880 yards Senior Handicap race and achieved a 7th placing in the annual Senior Steeplechase race. He was a member of both the 1st XV Rugby team and the 1st XI Cricket team. At the end of 1928 his father was again transferred this time to Dunedin and Sir John left Whangarei and he attended Otago Boys’ High for one year. Sir John completed his LLB at Victoria University in 1934 and LLM in 1935. While working for the Wellington City Council he studied part time for a BA (majoring in political science), which he finally finished in 1946. During World War II Sir John saw service in the Pacific and Europe reaching the rank of Major. Sir John entered politics in 1946 winning the Mount Victoria seat in Wellington for the National Party. He became a Minister of the Crown in 1949 when National defeated Labour in the general election. Sir John was then a minister for 20 of the next 23 years, being Deputy Prime Minister for 12 of those years and Prime Minister for one. As a Minister in various portfolios, Sir John had several notable achievements. As Minister in Charge of the State Advances Corporation of New Zealand he was responsible for expanding the scope and limit of loans at low interest rates so that lower-income earners could buy, build or renovate their own homes. State houses were also sold to their tenants on easy terms. As Minister of Justice and Attorney General he was responsible for the enactment of important legislation including the Companies Act 1955 and the Trustee Act 1956. He was also responsible for the creation in 1957 of a separate permanent Court of Appeal. As Minister of Industries and Commerce and Overseas Trade he played key roles in negotiating the New Zealand–Australia Free Trade Agreement (NAFTA), freeing up 70 per cent of all imports from controls, and setting up a Tariff and Development Board and the Development Finance Corporation. He also supported the formation of New Zealand Steel and the building of the Tiwai Point aluminium smelter; accelerated the diversification of New Zealand’s agricultural and industrial production, exports and markets; and organised an Export Development Conference in 1963 and a National Development Conference in 1968. 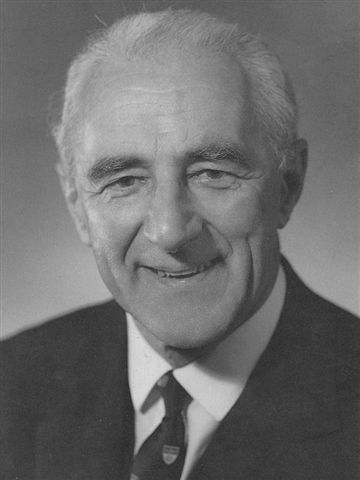 For 10 years from 1961 to 1971 Sir John was responsible for negotiating the basis upon which New Zealand’s meat and dairy exporters would have continued access to the British market once Britain joined the EEC. This work was critical to the prosperity and well being of all New Zealanders. By the time Britain finally joined the EEC in 1971 Sir John had persuaded the European governments to agree to allow New Zealand ongoing access to the British markets for 80% of New Zealand’s butter and 20% of New Zealand’s cheese exports. In addition, Sir John negotiated ongoing concessions for lamb exports to Britain. These agreements saved New Zealand from a massive economic disaster and gave New Zealand time to diversity its products and develop new markets for its primary production. As Minister of Labour, Sir John introduced the Accident Compensation Bill into Parliament in December 1971. He always believed that his involvement in establishing the accident compensation scheme was one of the most worthwhile achievements of his 20 years as a minister of the Crown. When the late Sir Keith Holyoake became Prime Minister in 1957, Sir John was elected Deputy Leader of the National Party, and Deputy Prime Minister. Within weeks he became Deputy Leader of the Opposition when the National government lost the 1957 election. However they only remained in opposition for one term and when National won the election in 1960 Sir John became Deputy Prime Minister and also Minister of Industries and Commerce, Customs, Overseas Trade and Immigration. On 7 February 1972 he succeeded Holyoake as Prime Minister and Leader of the National Party, defeating Robert Muldoon who became Deputy Prime Minister. Despite changes he made to the membership of the Cabinet and a reallocation of portfolios in the National cabinet, the media and the public continued to see a government in its 12th year of office, and at the 1972 election, National suffered a heavy defeat. While Sir John had all the attributes to be a quality Prime Minister, and perhaps one of New Zealand’s greatest, his tenure in that office was only 10 months. He was not as comfortable in the role of leader of the opposition, and despite rebuilding the National Party’s membership, finances, professional staff, and policy positions, in the House he struggled to match the Prime Minister, Norman Kirk, and the massive and aggressive Labour caucus. National backbenchers came more and more to look to Deputy Leader Robert Muldoon for leadership and so it was that on 4 July 1974, rather than test the leadership in a formal ballot and risk splitting the party, Sir John resigned and Muldoon became leader. Also he had recently had new heart disturbances that were causing his doctors and his family some concern particularly after he had also suffered a massive and nearly fatal heart attack in Tehran in 1964. In our history very few New Zealanders have served as a Minister of the Crown for longer than Sir John and only one, Sir Joseph Ward, has held more ministerial portfolios. Sir John Marshall was made a Companion of Honour in 1973 and a Knight Grand Cross of the Order of the British Empire in September 1974 for services to the nation. He retired from Parliament at the 1975 election, but remained a force in the National Party. Some saw him as the conscience of the National Party and it was evident over time that many National Party members regretted the decision to accept Muldoon over Sir John as leader in 1974. In retirement Sir John became a consultant partner at the law firm of Buddle, Anderson, Kent & Co, and a visiting fellow in public policy at Victoria University of Wellington. His honoraria for his university work were used to fund a Prime Ministers’ Prize in Public Policy Studies and the Sir John Marshall Scholarship for the top first-year student in political science. He also joined the boards of several companies, including the Norwich Union Life Insurance Society, Hallenstein Brothers, the National Bank and Fletcher Holdings. He became patron, president or trustee of over 60 cultural, community or charitable organisations, many of them Christian. While he was a figurehead of some, he became active in others, notably as patron of World Vision New Zealand and president of the Bible Society in New Zealand. Between 1978 and 1981 he revised and published a number of children’s stories about ‘Dr Duffer’ and also wrote a two-volume autobiography, volume one of which was published in 1983. He died of a heart attack in Snape, Suffolk, England, on 30 August 1988, while on his way to Budapest to give an address at the world conference of the United Bible Societies. He had completed the second volume of his autobiography only a few weeks before, ending by writing that ‘over the years of my life … fortune has smiled on me … I thank God continually for his goodness and mercy’.